Top station is the topmost peak of Munnar with the height of 1700 m. This peak forms a border between Kerala and Tamil Nadu. Trekking to this magnificent point offers you the view of the Western Ghats hill ranges and Theni destrict of Tamil Nadu. It is renowned for Neelakurinji flowers. These flowers bloom once in twelve years and sprinkle bluish hue in the vicinity. Next blooming year of this flower falls in 2018. 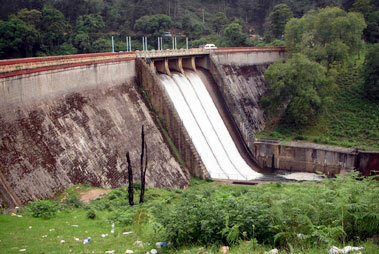 Top Station is at a short distance from Kurinjimala Sanctuary and is a gateway to Palani Hills National Park as well. Tea and spice plantations in and around Top Station have prime significance and the tea leaves and spices are exported to different regions. Do try tea offered in local tea-stalls in the area.